Portland police suspect Christopher Jacobo shot another man at Roadway Inn in October, 2018. Federal marshals took a fugitive into custody Friday, Jan. 4 in Southeast Portland on suspicion of shooting a man in October. Members of the United States Marshals Service Fugitive Task Force arrested Christopher Allen Jacobo, 24, at a residence in the 13000 block of Southeast Ramona Street on attempted murder charges, police say. Portland police detectives believe Jacobo shot another man in a parking lot of the Roadway Inn on Hayden Island on the morning of Oct. 11. The shooting victim was transported to a Portland hospital and survived his injuries. Jacobo was located by the marshals and arrested on multiple charges, including attempted aggravated murder, first-degree assault, first-degree robbery and a parole violation. Marshals arrested another man on Nov. 1 in connection to the shooting investigation. Christopher Lee Irvin, 35, was charged with two counts of first-degree robbery, possession of a stolen vehicle and a parole violation. The shooting victim, Michael Rose, told police he was planning to sell Irvin drugs at the motel. "After (Rose's girlfriend) turned over the drugs Irvin's accomplice shot Rose and they both left in Irvin's car," according to a probable cause affidavit. 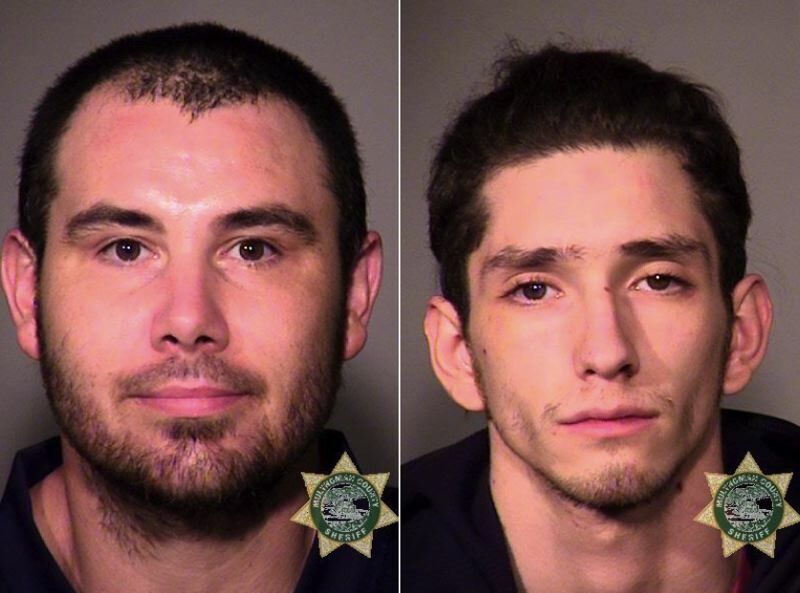 Jacobo and Irvin were both on parole as a result of previous convictions for burglary. Jacobo has been convicted of four felonies, according to court records. Irvin has nine felonies and one misdemeanor conviction on his record. Both Jacobo and Irvin are lodged at the Inverness Jail at the time of this report.